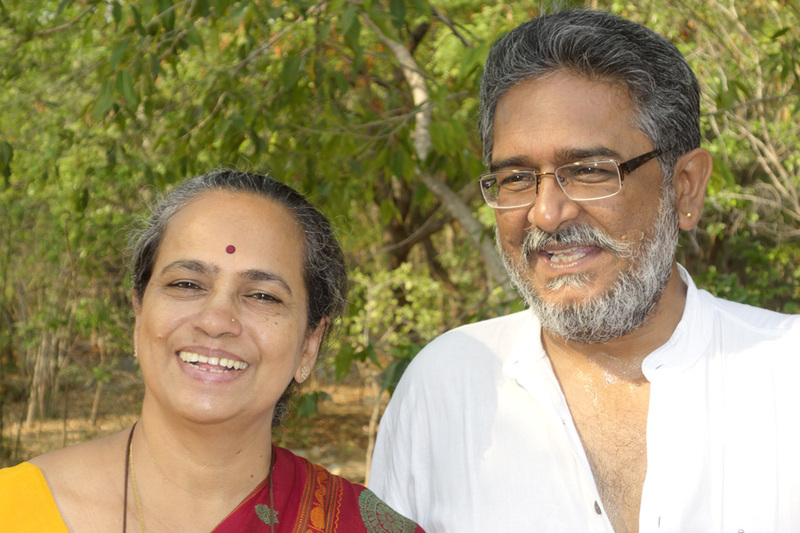 The foundation of the Timbaktu Collective - a rural workers union in Andhra Pradesh - goes back to the political commitment of Mary and Bablu. 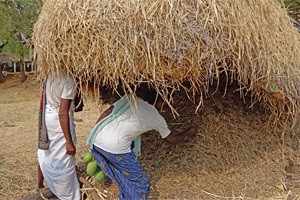 Their vision was to empower the rural population to a self-determined, sustainable life. A life in harmony with equal rights for both genders. Today, 20,000 peasant farmers and rural workers from 156 villages belong to the Collective; altogether the collective has more than 200,000 members. For more than 35 years, Mary Vattamattam has been engaged in rural development and social issues. The focus of her work lies on poverty alleviation and womens rights. She is working with women, especially with children, Dalits (lowest Hindu caste), indigenous groups, persons with disabilities, rural workers and peasant farmers. She is also a passionate networker and movement builder. She has for example accompanied the formation of OXFAM India. Bablu Ganguly was politically active in the Marxist movement where he was leading a theater group. His main concern are human right issues. With a lot of practical, hands-on commitment, he initiated the ecological movement with a particular focus on food security and food sovereignty. All his experience as activist, trainer, theoretician, actor, fundraiser and communicator he put into developing Timbaktu Collective. The diverse and far-reaching work of the Timbaktu Collective is coordinated in different projects. In the Chiguru project the Timbaktu Collective focuses on alternative education and especially the rights of children and youth. The nature school Prakruti Badi offers education predominantly to socially disadvantaged children. In the Mogga projects the Timbaktu Collective cooperates with more than 2,000 children in 45 villages educating them with respect to their natural rights for a good life, helping them claim their environmental heritage and their general right for education. An excellent environmental education program completes this project. 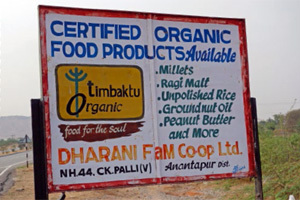 The activities around organic farming are coordinated under the Dharani project. 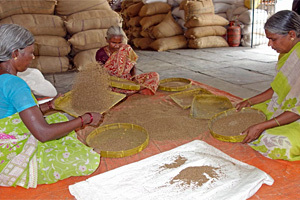 Today some 1,800 organic farmers are organized in different Sanghas (associations). 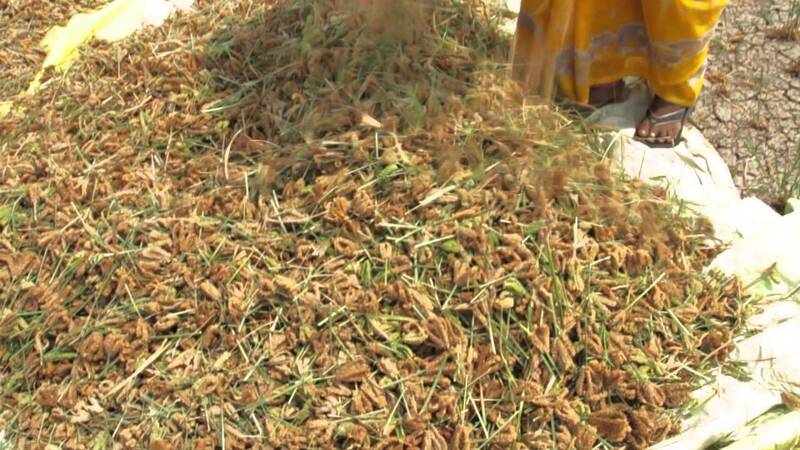 Together, they farm about 3,500 hectares of land. Three cooperatives offer the farmers practical hands-on training and coordinate the processing and marketing of the organic products. They provide direct participation in the value added chain and securing significantly increased incomes for the farmers. Already 650 rural workers families could purchase goats through the Gramasiri project and became independent entrepreneurs who market goat meat. The Militha project unites the activities of empowerment and inclusion of people with disabilities. This project offers training courses and provides all-around support for the establishment of small enterprises such as soap production. The biggest and most impacting project, however, is called Swasakthi. In this project four cooperatives have been set up that provide alternative banking services, microcredits and legal aid in order to protect the human rights of women. More than 17,000 women are members and administer a remarkable capital of 1.4 million Euro. Very impressive is also the work in the context of natural resource management. Under the project heading of Kalpavali, the Sangas recruit tree planters and build capacities for the regeneration of wasteland. Until today, more than 3,000 hectares of wasteland have been ecologically restored; nature reserves and wildlife corridors have been set up in an equally big area. All these activities are administered by the Sruthi management structure with 110 full-time and 90 part-time workers. It is highly commendable how much can be achieved by a selfdetermined and just rural development initiative. Especially considering the fact, that many collectives in former socialist countries failed due to various reasons. As long as the business principles are guided by solidarity, ecology, fairness and justice a collective can be a very successful form of working together.